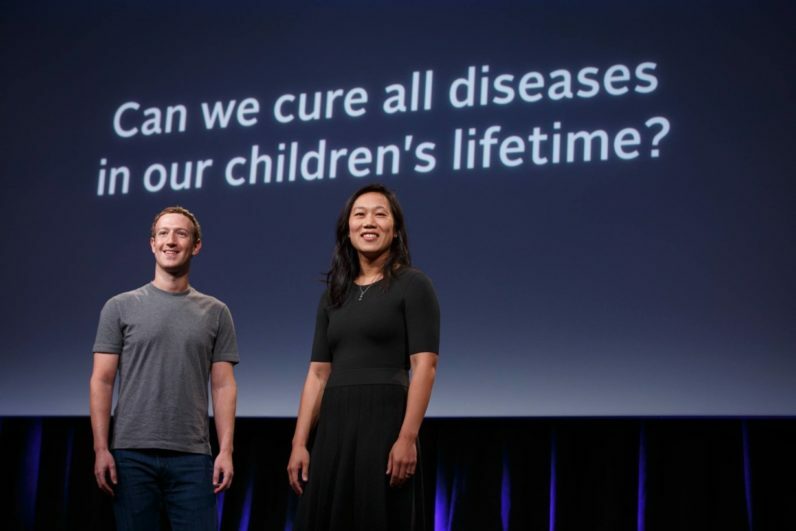 Today, Priscilla Chan and Mark Zuckerberg announced CZI Science, a new arm of the pair’s Chan Zuckerberg initiative that aims to eradicate all disease over the next 100 years. Over the course of a decade, the charitable organization pledged $3 billion in funding for bio-medical research as well as a collaboration with University of California San Francisco, Stanford and University of California Berkeley to open the ‘BioHub,’ a $600 million research space in San Francisco’s Mission Bay. Zuckerberg spoke passionately, as did Chan, about how the country spends 50x more on treating sick people than it does curing diseases and providing preventative care so they don’t get sick in the first place. “We can do better than that,” he said. We’ll be investing in basic science research with the goal of curing disease. As a pediatrician I’ve worked with families at the most difficult moments of their lives. The movement to eradicate disease requires a shift toward long-term thinking and research that demands more funding than typical academic grants. Zuckerberg, Chan and their $45 billion pledge to philanthropic efforts could bridge the gap. CZI Science aims to bring together experts from around the world in what it calls ‘challenge networks,’ designed to tackle especially urgent problems. The focus will be on “transformational technologies” like a cell atlas that could help map and research the characteristics of every cell in the body. “Nobody really knows how many cell types there are in the human body,” said Stanford’s Stephen Quake. A better understanding through singular cell sequencing technology and genome editing could lead to breakthroughs in treatment for a number of diseases, including cancer, diabetes and dementia. The new BioHub will also staff its own researchers and keep needed equipment on hand to deal with emerging threats, like Zika. Rather than navigating miles of red tape, CZI Science can instantly start finding solutions to some of our most pressing problems.